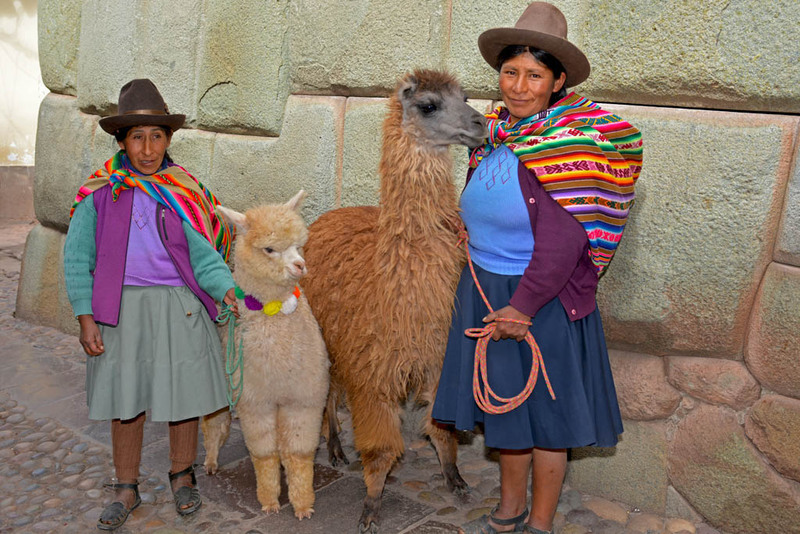 Food, people, places and llamas, that’s how we remember Cusco, one of our favourite cities in the world. Since visiting Peru 10 years ago, it has always been our dream to go back, and when cheap airfares come up it’s too tempting not to snap them up. Our trip starts in Cusco spending a couple of days acclimatising to the altitude before Lares trek and then we plan to get the train from Ollantaytambo to Machu Picchu before heading to the jungle. We arrive in Cusco and feel the effects of the high altitude in the way of slight breathlessness when walking uphill. Drinking lots of coca tea helps us to feel better. Cusco is elevated at 3400 metres and our highest pass on Lares trek is 4680 metres so there is a way to go! 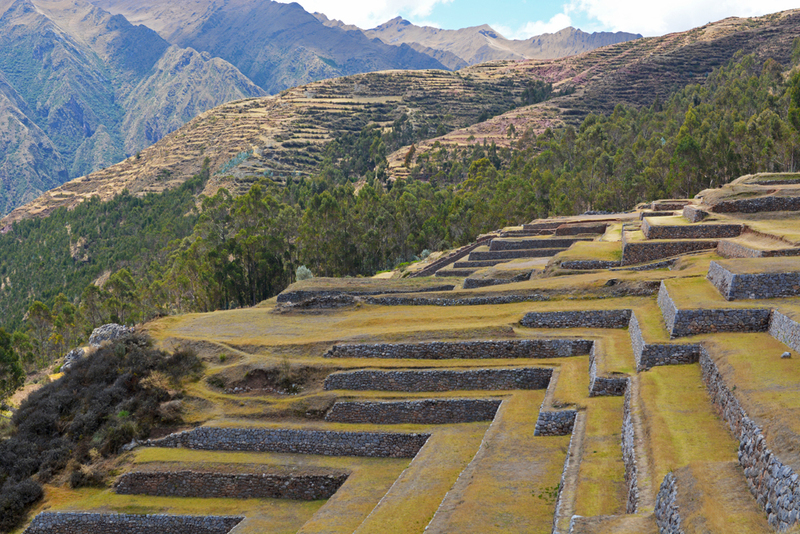 We’re crazy about this charming city which was once the capital of the Inca Empire. We love the narrow cobbled streets, the historical Incan colonial buildings, the colourful locals, the cute and fluffy llamas, elaborate churches and the quaint local restaurants. 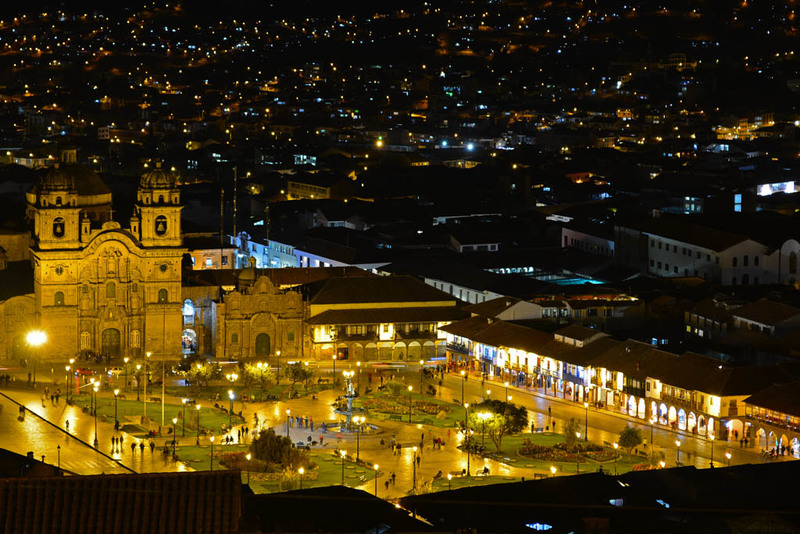 The atmosphere is captivating in the main square of Plaza de Armas, in the heart of Cusco, as tourists, touts and vibrant locals all blend in together with the crowds. On one side of the square stands the cathedral and the other the baroque church. When the Spanish invaded Cusco in the 16th century they preserved most of the design but built churches and cathedrals over the ruins of the Inca city. At night, we go up to San Cristobal Church and view the city from here which looks like a fairy-tale. It is a steep walk and getting a taxi is a good idea, especially if still getting used to the altitude. The taxi is about 12 soles to take us there, wait for us and take us back to Plaza de Armas. 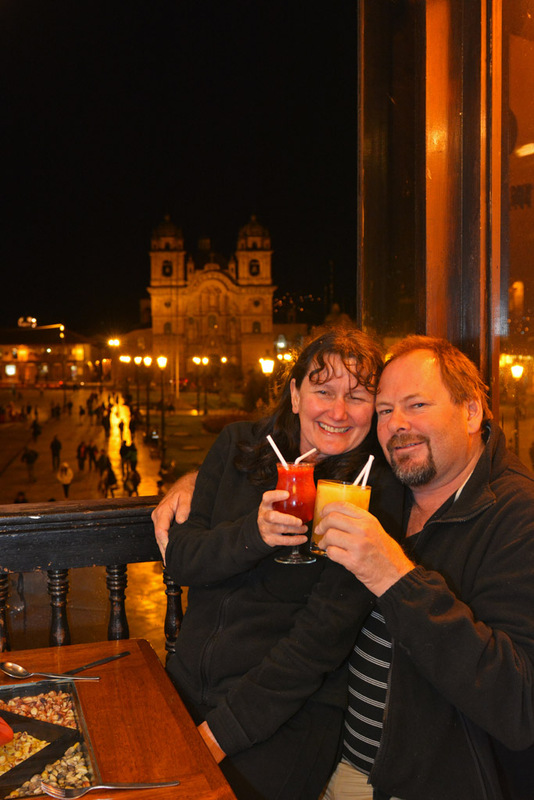 At the local Cusco markets in San Pedro, we sample the fruit juices of fresh strawberries, pineapple, banana and papaya. Stalls of colourful fruit, vegetables, chocolate, herbs, spices and picarones – Peruvian doughnuts made from pumpkin and sweet potato line the stalls in the open air market. The market is about a 10-minute walk from Plaza de Armas. We love our food and Cusco doesn’t disappoint for vegetarian options. One of the best parts of our time here is eating the food! Though Peruvian dishes are mainly based on meat there is always some vegetarian to be found, especially in Cusco. 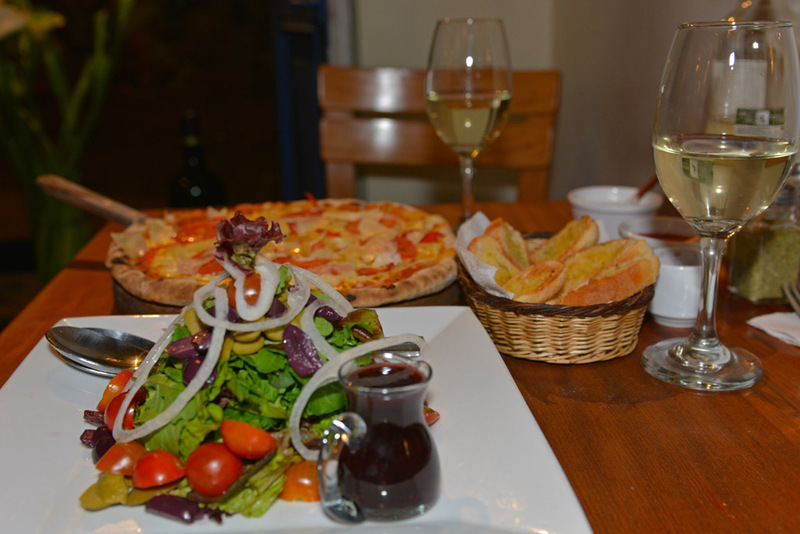 A gorgeous local pizzeria which serves mouth-watering thin crust pizzas fired up in an adobe oven, organic salads, chilled wine and craft beers. 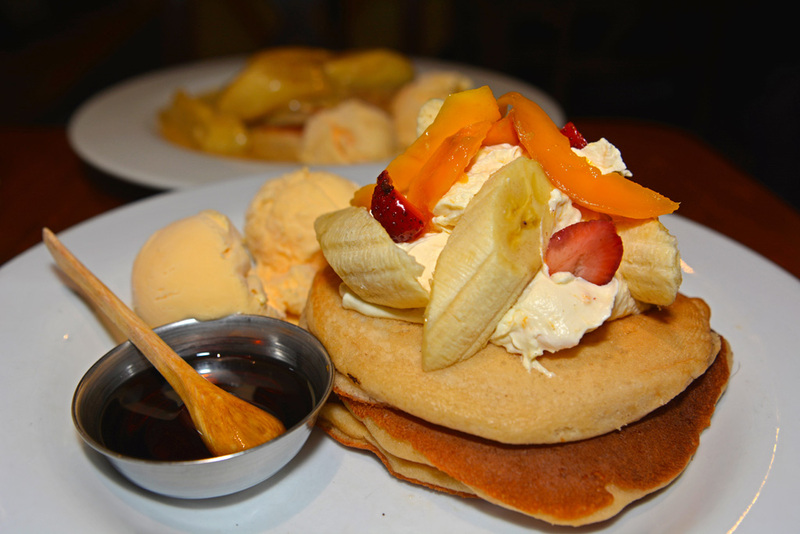 The All Day Breakfast choices of pancakes served with fresh fruit and the strawberry and banana french toast are delicious. Their menu is small, but what they have is very nice. We had to walk past this cafe when walking to and from our hotel and it was always a temptation to go in again! 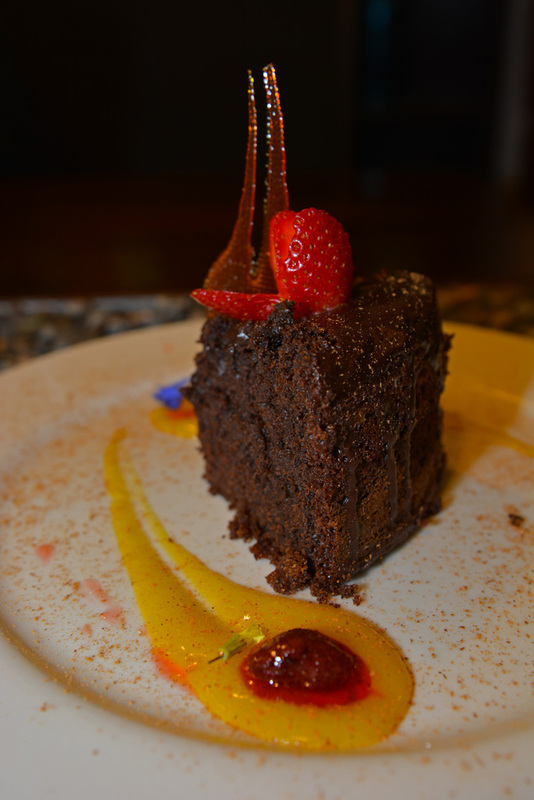 Green Point is the only 100% vegan restaurant in Cusco and is fantastic value. They offer a set lunch every day which includes a soup, a choice of two main courses, a salad buffet, a dessert and a drink for about $5. (Don’t confuse with Green’s Organic). Around the main square, restaurants serve a variety of Peruvian and Western dishes with choices of vegetarian. Most of the menus look the same but the location and the balcony seating overlooking the square and Plaza de Armas is beautiful and worth it just for the view. 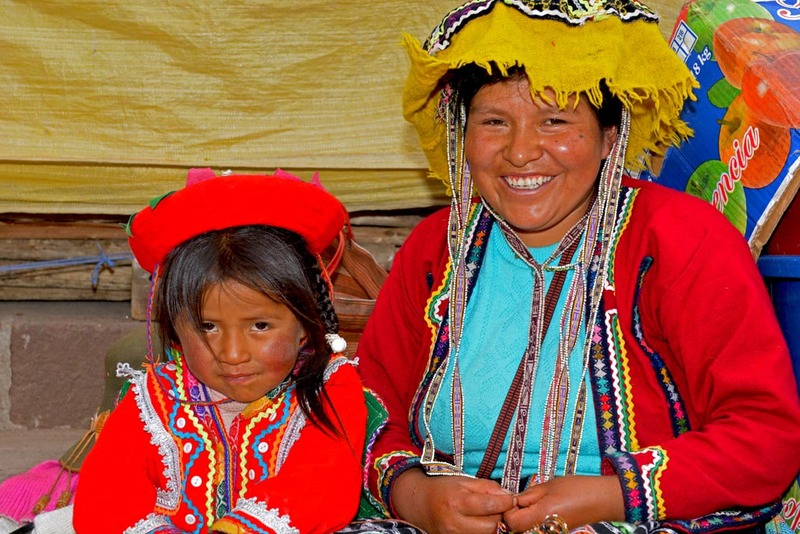 We tour Sacred Valley which includes the ruins and markets at Pisac and Chinchero. The Pisac ruins sit high above Pisac with plummeting gorges on both sides. The views of the valley are stunning and it is a great place to explore and gives a little taste of Machu Picchu. It is considered the second most sacred site in Peru after Machu Picchu. 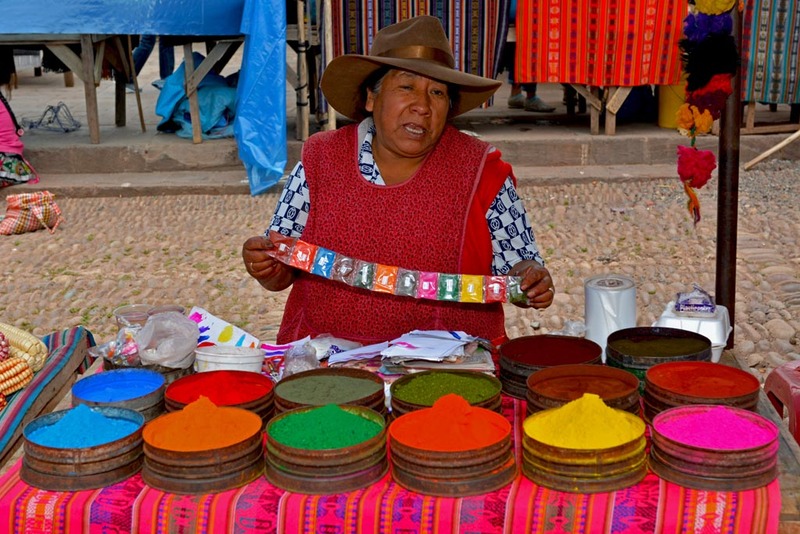 Pisac and Chinchero markets preserve their charm no matter how many tourists because of their location and the locals. Pisac market is touristy and undercover with handicrafts, local art, souvenirs and gifts dominating the bazaar. Chinchero is less touristy and more traditional with locals buying and selling their produce in the open air with the backdrop of the snow-capped peak of Salkantay. We couldn’t resist buying a gorgeous handwoven rug from here, with llama designs on it of course! We love the vibrant markets full of friendly locals and tourists and we easily spend the day here. Some local entrepreneurs have learnt to turn tourists love of their colourful traditional dress into a way of making money. Adults and children alike will ask for a few coins when taking their photos, which we think is fair enough. 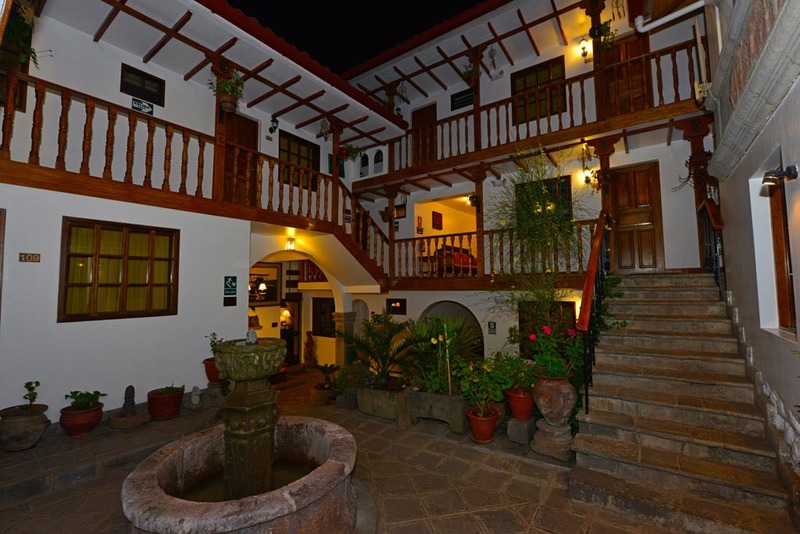 Our accommodation is at the quaint Rumi Punku Hotel in the historical centre of Cusco and only a 5-minute walk to the Plaza de Armas. Though it’s close to all the excitement, once inside the historical Inca doors, it’s a cosy retreat. The bedrooms are warm and comfortable with heaters and thick soft blankets. A nice buffet breakfast is served in the mornings. 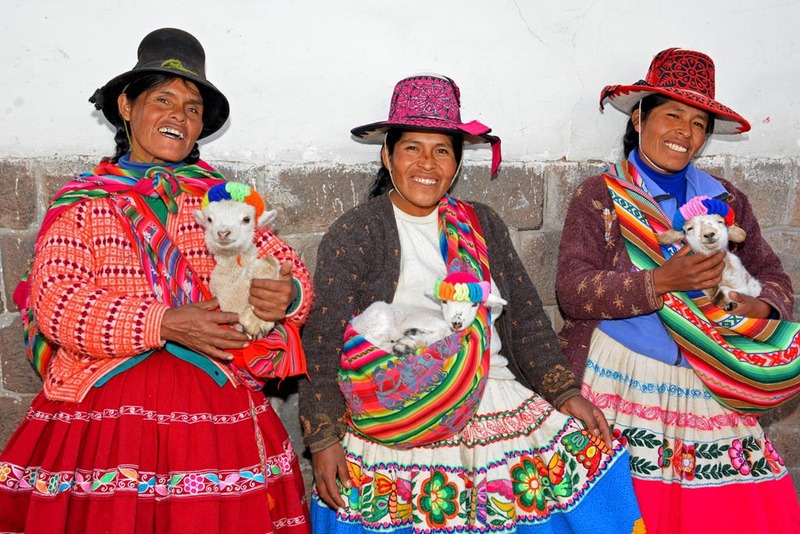 We travel with Alpaca Expeditions, an awesome local Peruvian company, committed to social projects and improving the lives of children in Peru. Their guides are the best in Peru. Thank you, Malka, for the greatest tour of the Sacred Valley! Amazing photos!! The colours are just beautiful & your people shots are incredible. Great stuff as always from a talented couple. Cusco looks like an amazing place & will be on our South America list for sure. Love how you always use local companies such as Alpaca Expedtions. These local companies can often get great deals on accommodation too. Can’t wait to see the Lares trek blog. Thanks for your comments Steve and Louis. Definitely make sure you have this on your South America list! Alpaca Expeditions is a fantastic local company and yes we probably couldn’t have done the trip for less, if we did it ourselves. Lares was incredible! This is such a timely and exciting article! My husband and I leave for Peru in less than two weeks! We’ve scheduled our all our tours with Alpaca Expeditions including Cusco, Sacred Valley and the Lares Trek!!!! (We booked 10 months ago!) WE ARE SO EXCITED. Thank you for sharing your beautiful photos and wonderful article! Hi Barbara. Amazing! You are doing exactly the same as us! We will have our blog and images about our Lares trek in a few days. It was the highlight for us. 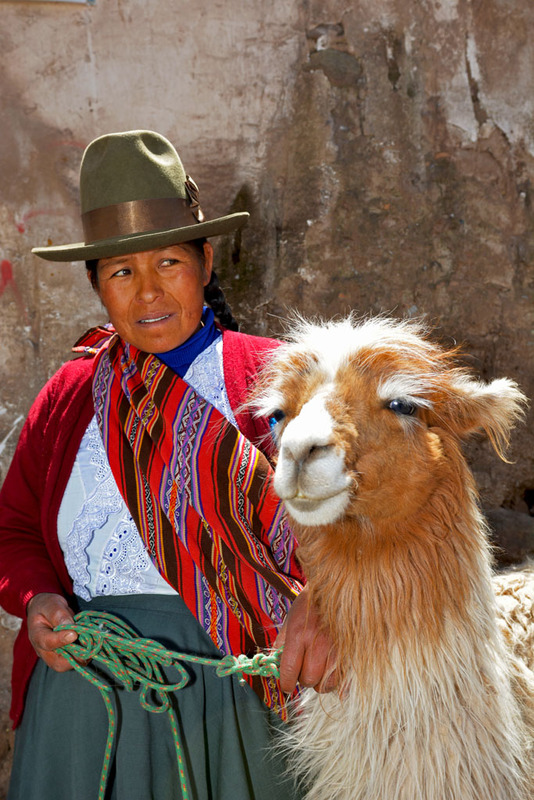 You will absolutely love Peru and Alpaca Expeditions. Thanks so much for your comment. It’s much appreciated. Gorgeous Photos – thanks for sharing! Especially love the diversity of shots you capture here, showing the beauty of this Cusco city. 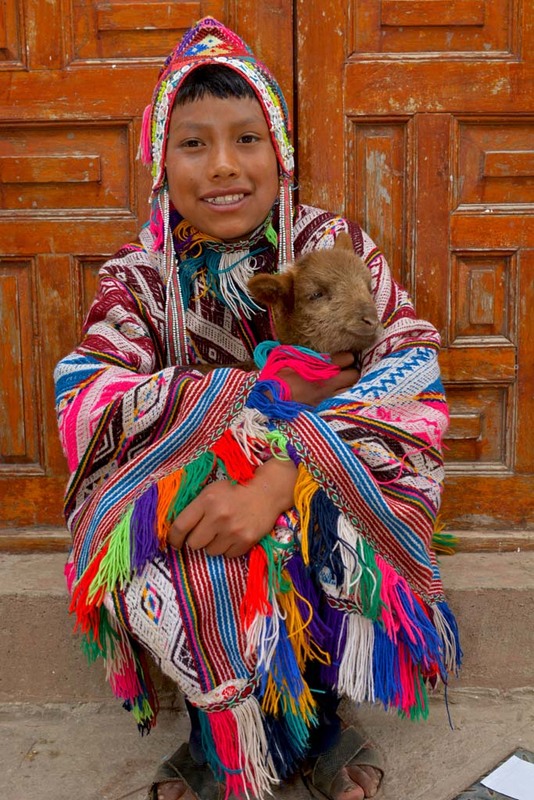 My favorite photo is the first one “Local lady in Cusco with her llama”. Thanks for your comments Karan. We had a lot of gorgeous subjects in Cusco! It is a beautiful and diverse city. Thank you, Noela. We are glad our photos make you feel like your are there. It’s a beautiful and colourful place, with many of the locals preserving their culture and traditions. Even off the beaten path, away from the tourists many are dressed in their colourful traditional clothes. 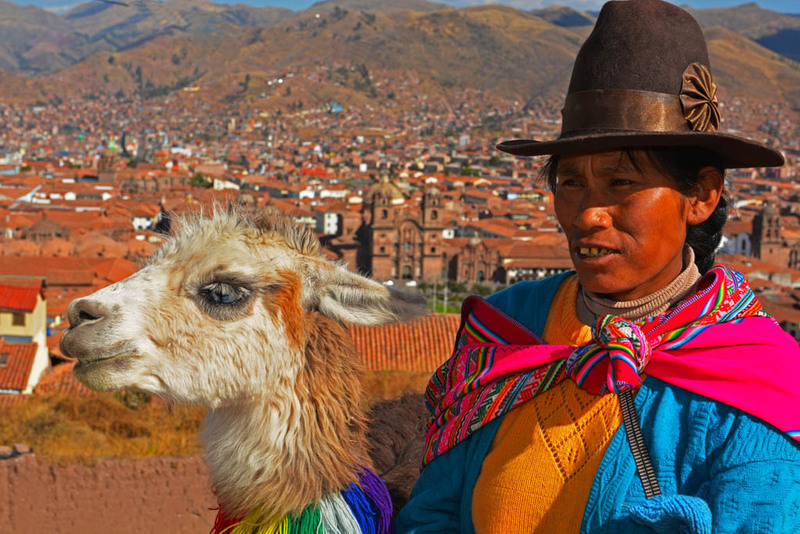 Amazing impressions of Cusco and its colorful daily life. I love the photo of San Cristobal Church at night 🙂 During my trip in April I went to a bar in San Blas from where you could see the entire city, just beautiful! I am planning to visit Peru since a long time, but couldn`t find the perfekt tour yet. Could you sent me maybe your exact dayplans so the planning is much more easy. The Amazonas area is not in my plans. Did you not visited Lima, Arequipa, Colca Canyon, Titicaca and Puno? Would you suggest 3 weeks in August or 2 weeks in Oktober?